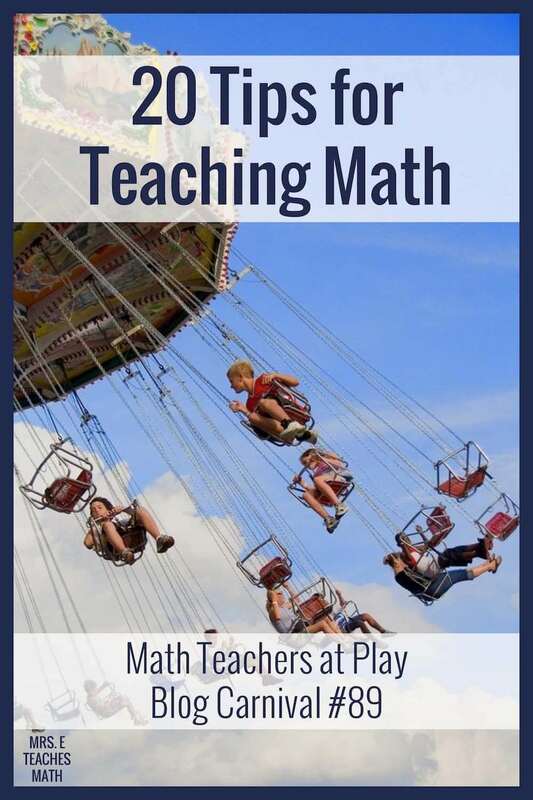 Welcome to the 89th edition of Math Teachers at Play (MTaP) Blog Carnival! MTaP is a monthly blog carnival with a collection of tips, games, and activities for teachers of students of all ages. If you haven’t seen the carnival before, you can read the previous posts. I also hosted the 82nd edition. First, I’ll start with information about the number 89! Leigh, from the Applicious Teacher, explains a technique for helping students solve multi-step problems. She also shared an interactive notebook idea to support the lesson. Students always seem to panic when they see fractions. Scipi uses pattern sticks to help students reduce fractions without the panic. They can also be used to change improper fractions to mixed numbers. Brandi, from The Research Based Classroom, shares a fun game called Help Your Neighbor. It is a game that helps students practice adding numbers from 1 to 12. FOIL - It Doesn’t Always Work! Scipi explains in her post why FOIL isn’t the best way to teach students to multiply binomials. FOIL only works in the special case of multiplying binomials. Scipi proposes an alternate method that works when multiplying any polynomials. I always spend some time in Geometry with optical illusions. This post explains why. A post on Leaf and STEM Learning explains the faults with teaching PEMDAS. An alternative mnemonic is shared with a foldable that can be used in interactive notebooks. Ellie, from Middle School Math Moments, shares a discovery activity for teaching slope. Students were asked to find relationships between equations and graphs. She even shares the handout she used in class. Jonathan Claydon from Infinite Sums gives a great explanation of how he teaches polar coordinates in Pre-Cal. Not only does he explain how he teaches the lesson, but also gives activity ideas and links a great video. If you’re teaching polar coordinates this year, you need to check out this post. Need an idea about teaching linear regression? Jean from Flamingo Math explains how she uses TI-84 calculators to help explain linear regression to her students. On the blog Everything Education, a fun idea is shown that can help students think creatively. Obviously false mathematical statements can be given, and students must come up with situations where the statement might be true. Read the post to find out more. Do your students love Minecraft? Rachel K shares a list of activities and games on Minecraft that can reinforce mathematical concepts. There are lots of ideas from basic addition to area and perimeter. This post by Maya is based on a non-routine problem about cake-cutting. Two distinct solutions are presented, and various questions about their makeup are presented. There is a little something for anyone involved in math with this post. 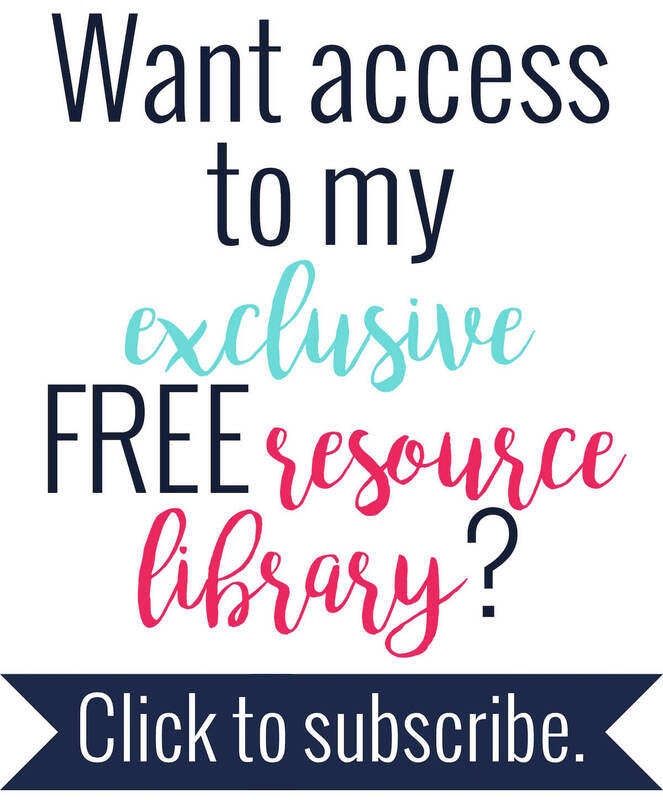 If you want to include math history in your classes this year, Birgid from Math Giraffe has you covered. She will be tweeting out facts every Friday so that you can have them prepared for the upcoming week. Read her post to find out more! Randi, from 4 the Love of Math, relates her fear of public speaking to student’s fear of math. Math is important. She explains how teachers can help students overcome their phobia. Jennifer from Teaching High School Math explains a technique for helping students become more proficient about explaining mathematical ideas. Students have a hard time explaining math and these ideas can help! What a great collection!! I'm finding so much great stuff in here. Thanks! Every odd number can be written as a difference of consecutive squares, so there must be a choice for a^2 - b^2 = 89. 89 is the 45th odd number; so how about: 45^2 - 44^2 = (45+44)(45-44) = 89(1) = 89. Yes! Somehow, the smaller numbers arrived later! I am very excited that you are sharing my order of operations blog post!